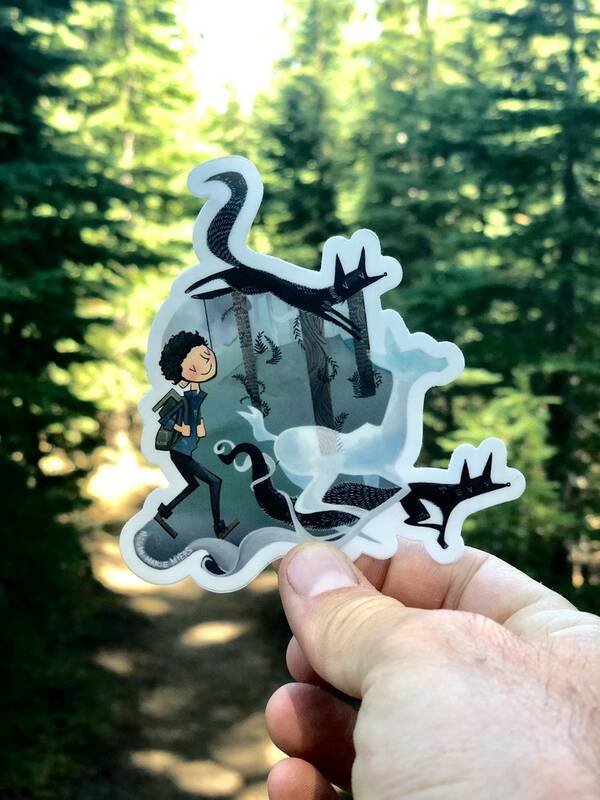 This whimsical sticker features a backpacker hiking through the misty woods surrounded by wild and joyful forest ghosts and shadows. * Thick, durable vinyl protects these die cut stickers from scratching, rain & sunlight. Fine Art Print - "Home"
Fine art print - "Huggin' you is like huggin' an alpaca. Luxurious." Fine art print - "Trail Tribe"
Love the spirit of the outdoors. Love getting out there in nature's delight. 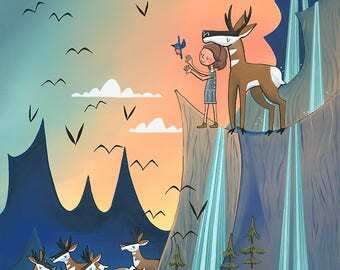 Beautiful art! Can’t wait to send these postcards to friends. Loved it! Shipped promptly and the art is of course, awesome. Greeting Card - Love Card - "I'll always share my tent with you"
Fine Art Print - "We decided we'd go together"
Fine Art Print - "A sublime coastline"
Greeting card - Blank card- "Let's go play in the mountains"
Fine art print - "We were searching for something bigger than ourselves"
Fine Art Print - "and if we were to just let go and suspend belief for a moment, the world would look completely different"